We’re Alexander Schacht and Benjamin Piske. We create and edit the content, in addition to managing our work lives, home lives and being continuous learners. We invite you to come and learn along with us to work more effectively, lead courageously, and solve problems innovatively. I have studied mathematics and received my PhD in biostatistics on non-parametric statistics from the University of Göttingen in Germany. I authored more than 70 scientific manuscripts in peer-reviewed journals and regularly speak at international conferences – both statistical ones like PSI and medical ones like EADV. During my career at university and within the pharma industry, I have collected more than 20 years of experience. My career focused mostly on phase III and IV (RCT, observational studies, HTA submission, commercialization work) with some regulatory work as well as some experience in the early phases of clinical development. I’m interested in a broad range of methodological areas but specifically on making better decisions based on data. As such, I was the chair of the EFSPI/SPI SIG on benefit-risk for some time. PSI provided my with many more opportunities, which I’m happy to work on. At work, I supervise of a small but mighty team of statisticians in a large pharma company. The virtual work environment requires me to adjust my communication style and focus on my ability to deliver results effectively. I’m a happy husband and father of 3 wonderful kids, who I love to spend time with. In the rest of my time, I love running and listening to podcasts. I got interested in statistics during my studies of mathematics at the university of Göttingen when I attended courses of statistics at the department of medical statistics. Focusing on non-parametric statistics, I completed my MSc in 2003 and continued to work at the department until starting with a global CRO in April 2004. I started as biostatistician in the phase IIIb/IV environment and worked on interventional and non-interventional late phase trials, commercialization work, publication / presentation support, registries and investigator driven trials in several therapeutic areas – mainly oncology, hematology and neurology – using a broad range of statistical methods. During the later stages of my career I also worked on phase II and phase III trials as well as submissions. In 2008 I took over line management responsibility for a primarily remote team, and since then developed more and more into a senior position. I’m primarily working office based in our office in Berlin, Germany. 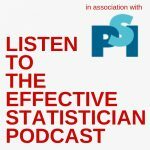 The Effective Statistician helps statisticians (or maybe data scientist) both at a junior and experienced level. We’ll cover topics relevant for those with and without administrative leadership positions. Our examples arise from the health sector mainly, but we assume, that statisticians or data scientists outside of this industry will surely benefit as well. How will this podcast boost your career? We will not cover advanced programming skills and news, just for sharing them. While we will talk about upcoming events, we will always focus on the content to make the podcast episodes as valuable as possible. We’re aiming high by producing our show weekly, with possible exceptions being vacation periods. We target our episodes at a length of about 20 to 30 minutes, but ultimately, the content will drive the duration. We want to balance our show with co-hosting episodes during which we discuss topics between the 2 of us with interview sessions. Possible, we might have single speaker episodes in the future as well as we are experimenting how to best deliver value to the listeners. 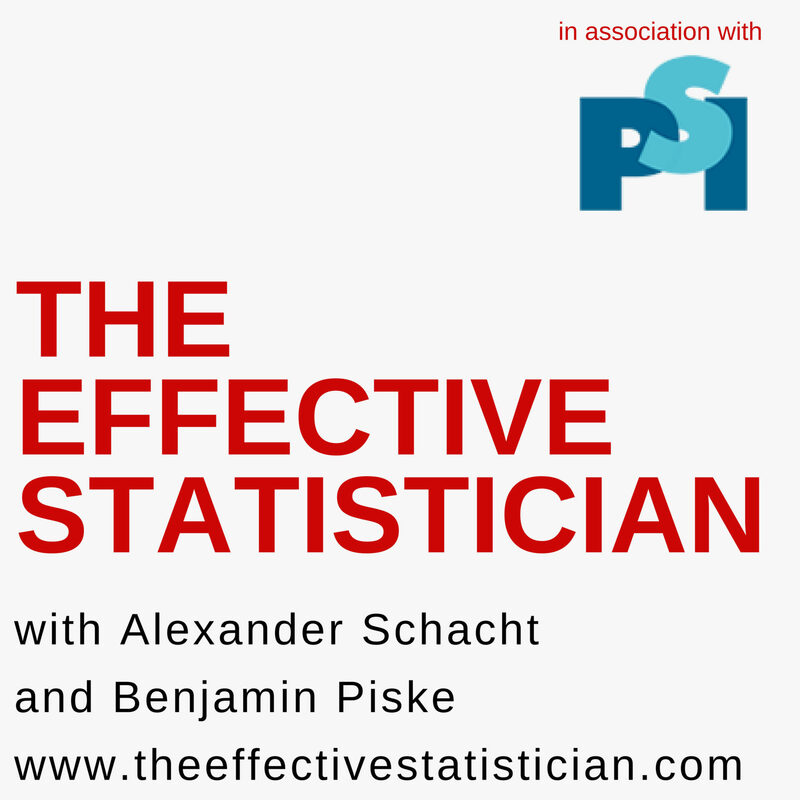 If you have any suggestion for relevant topics, proposals for interesting interview guests, or other comments on the show, please contact us at alexander@theeffectivestatistician.com or benjamin@theeffectivestatistician.com.